Start off your visit on the 24th (Wed): pause for some photo ops at Cabrillo National Monument and then admire nature's wide array of creatures at San Diego Zoo. Get ready for a full day of sightseeing on the 25th (Thu): examine the collection at USS Midway Museum, see the interesting displays at Mingei International Museum, and then have fun at Balboa Park. To see more things to do, traveler tips, ratings, and tourist information, read our San Diego journey planner. Sydney, Australia to San Diego is an approximately 19.5-hour flight. You can also do a combination of flight and train. Traveling from Sydney to San Diego, you'll gain 18 hours due to the time zone difference. April in San Diego sees daily highs of 25°C and lows of 17°C at night. Wrap up your sightseeing on the 25th (Thu) to allow time to drive to Anaheim. Kick off your visit on the 26th (Fri): make an unforgettable trip to Disneyland Park. Get ready for a full day of sightseeing on the 27th (Sat): get in on the family fun at Disney California Adventure Park. 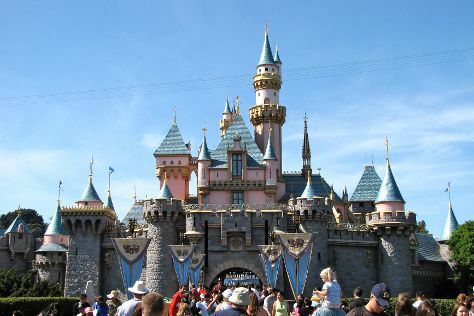 For reviews, traveler tips, and tourist information, read Anaheim trip maker site . You can drive from San Diego to Anaheim in 2 hours. Other options are to take a bus; or take a train. While traveling from San Diego, expect somewhat warmer days and about the same nights in Anaheim, ranging from highs of 30°C to lows of 15°C. Wrap up your sightseeing on the 27th (Sat) early enough to take a train to Los Angeles. Pack the 28th (Sun) with family-friendly diversions at Universal Studios Hollywood. There's much more to do: see the interesting displays at The Getty Center, put a fun spin on your tour with Fantastic Race, admire the masterpieces at Los Angeles County Museum of Art, and look and learn at Griffith Observatory. To see where to stay, ratings, and tourist information, use the Los Angeles trip planner . Los Angeles is just a stone's throw from Anaheim. In April, plan for daily highs up to 28°C, and evening lows to 15°C. Wrap up your sightseeing by early afternoon on the 1st (Wed) to allow enough time to travel back home.